Nearly 180 people at a Los Angeles hospital may have been exposed to a deadly strain of bacteria from contaminated medical equipment. Two deaths at UCLA Medical Center have been linked to the case and seven others are being treated. The patients were exposed to Carbapenem-Resistant Enterobacteriaceae (CRE) during endoscopic procedures between October and January. A similar outbreak was reported last month in Seattle. Eleven patients died. The infections are difficult to treat because many strains are resistant to antibiotics. The US Centers for Disease Control and Prevention has said that CRE can lead to death in up to half of seriously infected patients. The CDC said that national figures on the bacteria are not kept, but 47 states have seen cases. CRE can cause infections of the bladder or lungs, leading to coughing, fever or chills. 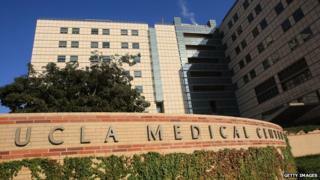 UCLA has sent the exposed patients free home-testing kits that the hospital will analyse, the university said. "We notified all patients who had this type of procedure, and we were using seven different scopes. Only two of them were found to be infected. In an abundance of caution, we notified everybody," said Dale Tate, a University of California, Los Angeles spokeswoman. UCLA said the devices were sterilised according to the manufacturer's specifications but two of them still carried bacteria. "We removed the infected instruments, and we have heightened the sterilisation process," Tate said. Thirty-two patients at Virginia Mason Medical Center in Seattle were infected by contaminated endoscopes from 2012 to 2014 with a bacterial strain similar to CRE, the hospital acknowledged in January. Amid the outbreaks, hospitals, medical-device companies and regulators have been criticised over safety standards. On Thursday, the US Food and Drug Administration (FDA) warned the complex design of the devices is associated with a risk of such multi-drug resistant infections, even when a manufacturer's cleaning instructions are followed correctly. The drugs don't work - so what will?